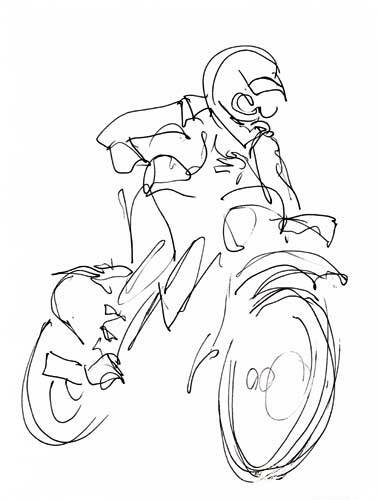 A pen and ink drawing, Slo Ride, by Mark Scribbler. Tee Shirt with this design? Email me if you would buy one. Check Out Our Tee Shirts!